Guess where did Planet Hollywood recently open???? KOVEEET BABY!! !...look how zy r talking...huh! Do u ever wonder if big companies seeks a smart advertising company, or a cheep one! just stating the obvious, as NBK credit card holder, i saw a 30% off merchandise on Debennhams store as part of NBK Rewards campaign...BUT! as i reached the cashier, it turned out that the 30% off discounts are only applicable on purchases valued of 50 KD and above, that was shocking! nothing in this AD indicates rules apply on anything like it! hmmm...zy can talk za talk, but zy can't walk za walk! 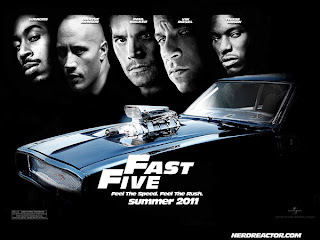 Fast 5, the 5th of the fast and furious movies, If your a fan you brace yourself you will be DISAPPOINTED! The whole plot had a whole lot of running and almost no race! well there was this one race with the Dodge Charger...a pretty Car commercial to say the most. the highlight of that movie is that I have managed to squeeze a nap. to be totally fair I kinda liked the Vault scene but when Vin Diesel took things by his own, it was an absolute Bollywood stunt. Epic Fail! Some feel obligated to complete the saga and watch this series of movies end but if you were in different about it. I suggest save your money. Held at FA Gallery, the Without Boundaries Exhibition, Opening was last sunday and let me tell you it was Delightful!